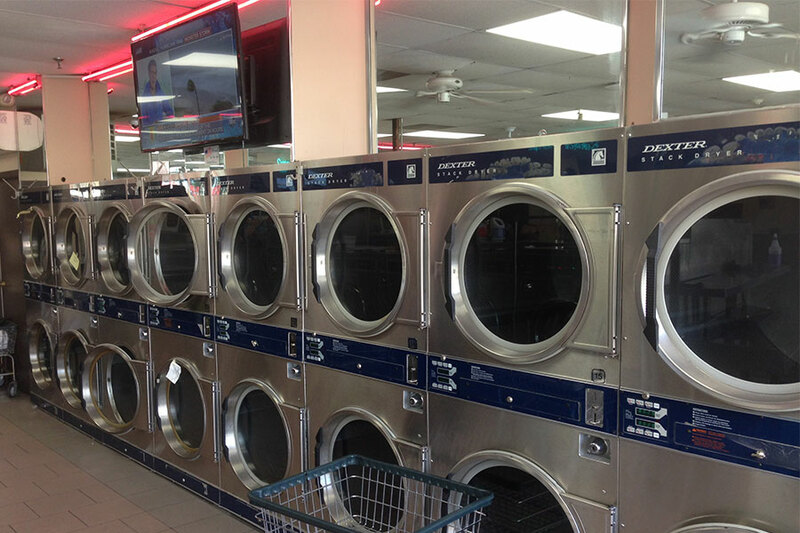 The Clean Scene Laundromat offers a commercial pickup and delivery service to the surrounding businesses in the community. Our state-of-the-art facility is large enough to service your needs. Clean Scene Laundry offers reliable and affordable dry cleaning services , and there's no better way to keep your garments looking like new, come experience our professional dry cleaning service. When disaster has struck your home or your business, Clean Scene Laundromat is one of the industry's leading experts in flood and fire restoration. With over 50 years combined experience no job is too large. SERVICING ALL YOUR LAUNDRY NEEDS IN THE WEST HEMPSTEAD COMMUNITY AND NASSAU COUNTY FOR THE PAST 15 YEARS ! The Clean Scene Laundromat is a unique full service laundromat that offers wash, dry and fold service where upon completion, you will receive a text or email that your items are ready for pickup ! Clean Scene Laundromat also offers reliable and affordable dry cleaning services from Dress Shirts to Wedding Gowns. At the Clean Scene Laundromat you can take advantage of our full service laundromat and drop off your laundry in the morning and pickup in the evening, a same day wash, dry and fold service where upon completion you will recieve an Email or Text from us that your laundry is done and ready for pickup ! With our Wash & Fold service we take the utmost care of your clothes, segregating as needed and giving you a quick turnaround time. Our Laundry online service is affordable and easy, as is our in store wash and fold service and coin laundry services too. The Clean Scene Laundromat is your local and convenient laundromat option, serving West Hempstead and the surrounding areas. We use the best in available cleaning products, to ensure that your favorite clothes are always clean and looking great. Forgot to wash your clothes for an interview or business meeting, never mind. With our express laundry service, we get your laundry done quick. With just a tap of a button, your laundry gets picked up, cleaned and then delivered, giving your leisure time to spend with family and friends. I really like this place. My wife and I don't have a washer and a dryer in our place and the drop off servoce this place offers is reasonably priced, fast and the laundry is always well done and folded nicely. The lady's are so friendly and do a great job on my clothes. The smell fresh all week long. Fairly priced i recommend anyone who does laundry at a laundromat to use this one. First time here; it's clean, air-conditioned, and all the machines are pretty new and work well. I live two minutes from another laundromat in Franklin Square on Franklin Avenue, and I will never go there again after discovering Clean Scene. © 2018 Clean Scene Laundromat. All Rights Reserved.